Kayla has always had a love for hair ever since she could remember. She would always be playing with her friend’s hair with whatever she could find. Fast forward years later and she decided to attend Paul Mitchell the School and graduated in 2012. 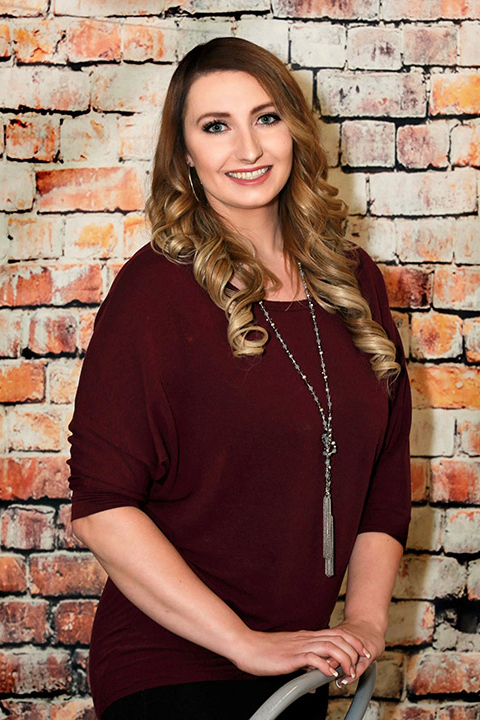 Before she even graduated, she knew that Bella Sara would be her forever home as she started working the front desk and shortly after became the salon manager. She wants to offer the best experience for each client and to do this; she focuses on customer service and education. In addition to attending monthly classes, she has already received certifications in KMS IQ Cutting Method, Brazilian Blowout, Dream Catchers Extensions, and attends Bumble and Bumble University for classes. She specializes in women’s color and cuts, vivid colors, Balayage techniques, Wedding Hair and Updo’s, and the latest hair trends. It is Kayla’s priority to give you the latest styles and the tools to maintain your new look!